Joule is small enough to fit in a drawer with your knives. We think you’ll use it just as often. Despite massive advances in computing and the internet, globalization and manufacturing, the kitchen has largely been left behind. We’re going to change that. In the last few years, ChefSteps has created and shared over 700 video-based recipes, which you’ve viewed over 50 million times from nearly every country in the world. And for those of you who’ve watched our videos or cooked our recipes, it won’t come as a surprise that we think sous vide has a big role to play in revolutionizing the kitchen. The more we listened to your feedback, the more it became clear that many of you wanted a better sous vide cooking experience. 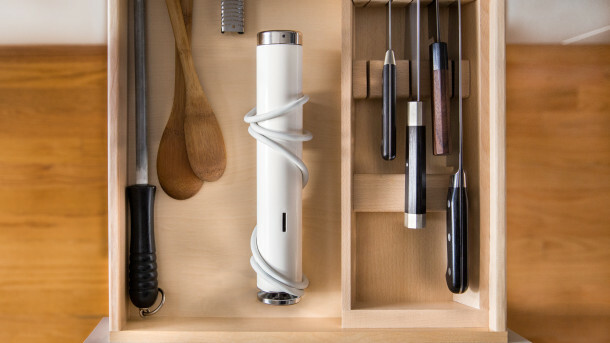 We challenged ourselves to reimagine sous vide from the ground up, to create a tool that would inspire and empower cooks at every skill level and make sous vide a real part of today’s kitchen. So we built it. And we call it Joule. Joule represents three years of listening and reacting to your feedback, testing with community members, and inventing and reinventing until we got it right. But this is just the beginning. We built Joule for you, and we’re incredibly excited to get it into your hands, learn from your experiences, and decide what comes next. And yes, I’m being sincere when I say Joule is for you, and for every single cook in the ChefSteps community. We hope Joule will encourage you to continue believing in the magic of the kitchen and sharing in the ritual of cooking and eating with the people you love. Grant and I founded ChefSteps with a conviction that if we focused on making cooks happy through our work, then our business would thrive. Those of you who have worked in the restaurant industry will recognize this as the business of hospitality. 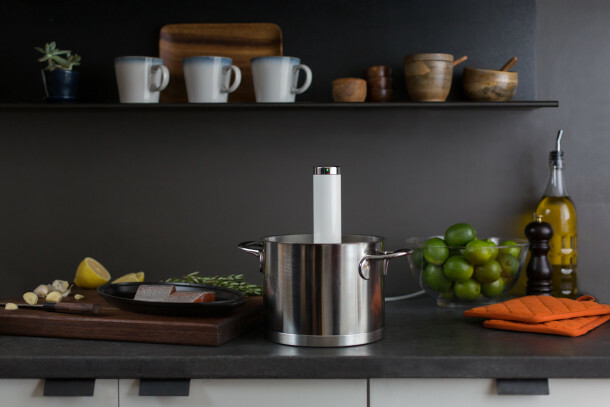 Preorder Joule today and be among the first cooks to experience the future of sous vide.